Neddenriep Financial offers a wide range of financial planning services to assist you every step of the way. Our financial consultants are ready to sit down with you and get to know your personal and financial goals. Taking the time to outline these milestones is the first step towards positive financial management. A knowledgeable wealth planner is available to assist with every aspect of wealth management. We will review your entire financial portfolio, then suggest how you can align them with your financial goals using the resources available to you. Neddenriep Financial has financial consultants that can help you on every step of your financial journey. To learn more about wealth management CLICK HERE. Ideally, the goal of investment planning is to help your money grow and outpace inflation. There are literally thousands of different places to invest your money. Let a wealth planner at Neddenriep Financial guide you through all of your financial planning options. Depending on your risk tolerance they can show you where to start investing. To learn more about investment planning CLICK HERE. To truly enjoy your golden years, it is a good idea to know what you want to do during them. Retirement planning is crucial to make sure you have enough money to live your life the way you want. A wealth planner at Neddenriep Financial can show you how to balance your Social Security benefits, your savings, and qualified retirement accounts. To learn more about retirement planning CLICK HERE. If good financial planning should bring positive results, you still have to report it as income. At Neddenriep Financial we create strategic tax plans that help you keep as much of your money as possible. Whether you are retiring or investing, we have investment tax plans that maximize your accounts depending on when you need your money. To learn more about our tax planning services CLICK HERE. Deciding when to begin drawing Social Security is a very important decision in your financial planning. A poor Social Security retirement plan can cost you tens of thousands of dollars if you begin too early. A retirement planner at Neddenriep Financial will clearly explain your benefits to you. They will be happy to answer any questions and help calculate your monthly draw. To learn more about Social Security retirement benefits CLICK HERE. Bonds, mutual funds, annuities, and other investment options are available to broaden your investment portfolio. In order to add them to your financial planning, you must work with a certified LPL Financial Service Manager. Let the team at Neddenriep Financial explain these options to you and how they can fit into your overall wealth management. To learn more about Bonds, mutual funds, or annuities CLICK HERE. 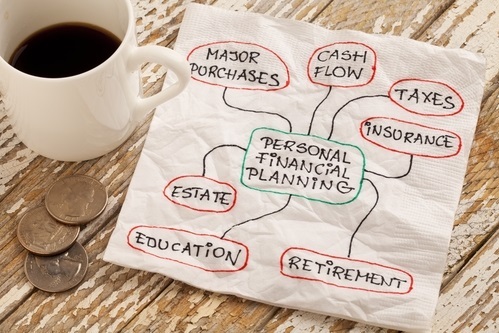 Holistic Financial Planning with a Trusted Wealth Planner!